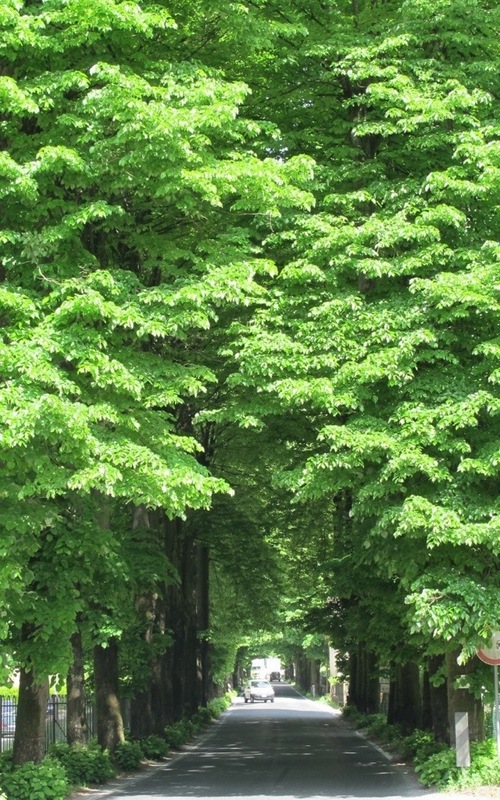 The gorgeous Tiglio (Linden) trees form magnificent green tunnels on the roads leading into Bagni di Lucca in spring and summer. 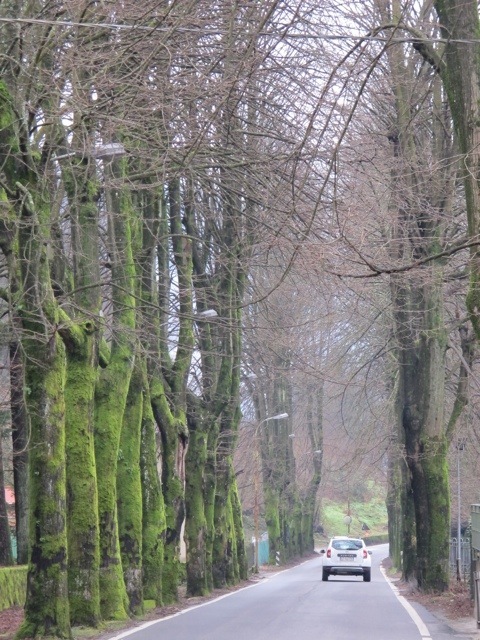 I think they look just as wonderful in winter when their moss covered trunks and grizzled branches starkly show the way to Bagni di Lucca. In just a few weeks spring will begin and the trees will turn green before our eyes…and in no time at all they will look like this. 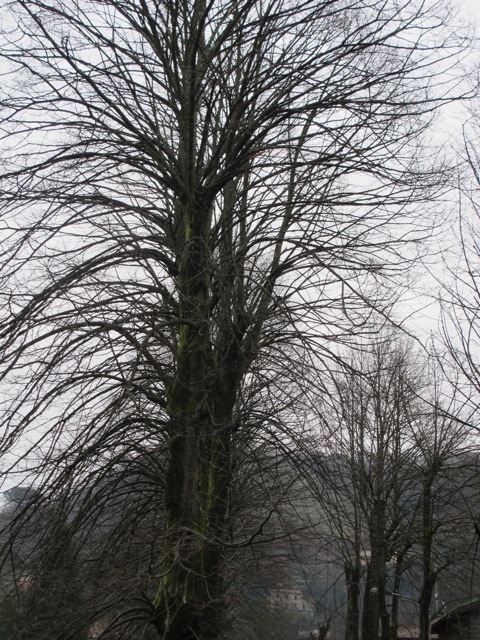 This entry was posted in seasons and tagged Bagni di Lucca, Italy, Linden trees, nature, photography, tiglio, travel by Debra Kolkka. Bookmark the permalink. 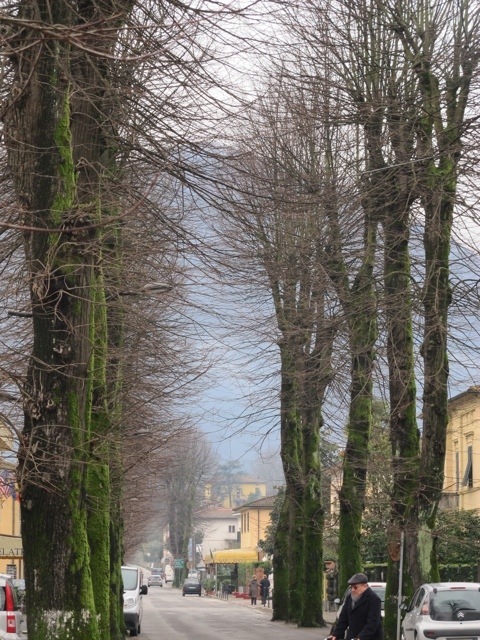 Those tiglio trees look magnificent in any season. Each season has its own beauty, and the trees reflect those seasons. I love the way the tiglios form natural scuptures against the backdrop of sky. 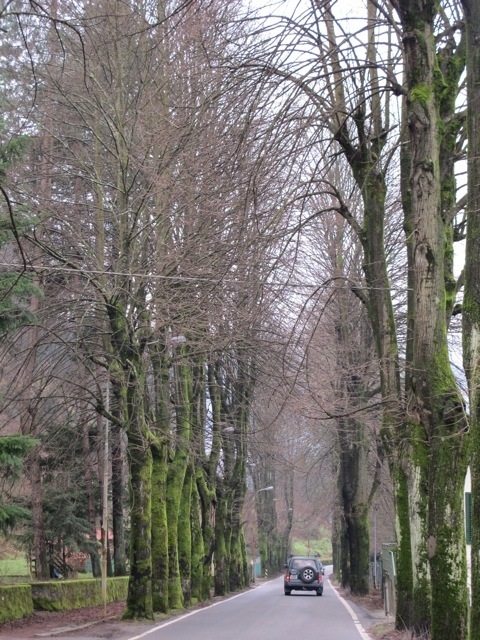 Those beautiful trees create a great natural entrance to the town and they look gorgeous throughout the seasons. I can’t wait to see them again! On my first visit to Bagni di Lucca in July 1963, as a young teenager, I arrived at night. My most vivid memory of my arrival that night was the light from the headlamps of our car illuminating the white stripes on the tigli. In those days there were no street lights on that road which made the scene all the more striking. What an amazing transformation from winter to spring! I had to keep switching back and forth to get the full impact. Both beautiful, but I think the winter trees show more of the village, which I love! Such a beautiful entrance into Ponte a Serraglio. The contract is amazing. A beautiful tribute to your beautiful home Debra. I love all the special details you pick up on. There’s nothing quite like that beautiful green is there. 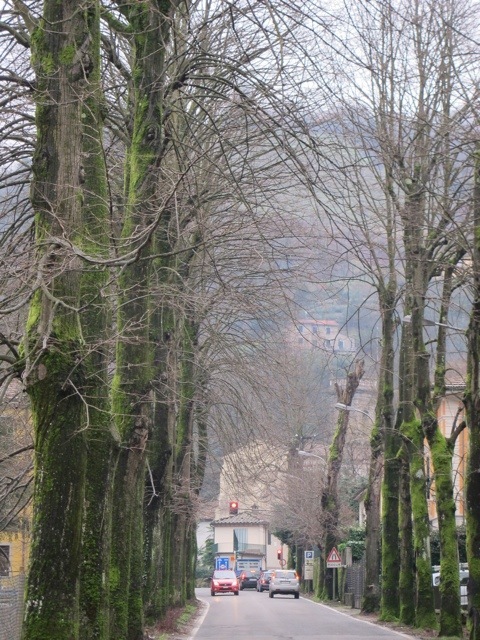 Great shots of the roads and trees in and around Bagni – i’d often wondered what that species of tree was. If i’m not mistaken in one of the photo’s I think there’s a view in the distance of the La Ruota awning on the cafe below the restaurant. 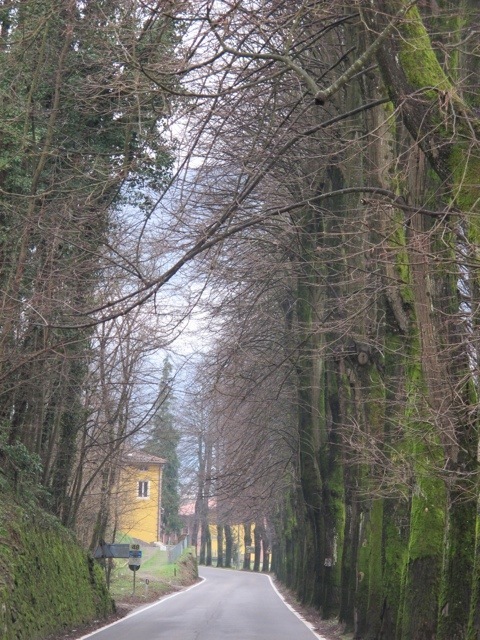 My husband John and I have just returned from a wonderful winter week at our house in Bagni di Lucca and was really pleased to see another post on your fantastic blog – a reminder of a lovely time spent (at home) again! The photos are delightful and i agree they’re a beautiful sight both in winter and in the summer months too. We have one of the oldest planted Linden trees growing in the state of New Hampshire…they are a beautiful tree. I use a Canon G12 with a fixed lens. This is still one of my favorite posts. Such beautiful pictures. Our Tiglio trees are very special. Are they getting green yet, or is it still too early?